While the Israeli's have long been an ally of the West, that does not mean they were given access to the same technology and equipment as NATO states were during the Cold War. This means that what the Israeli's designed was their own, and not a derivative of US, UK, and German tank designs. The reason I mention these 3 NATO nations specifically, is because these three nations worked together during the 1960s-70s to develop tanks that all shared similar traits. 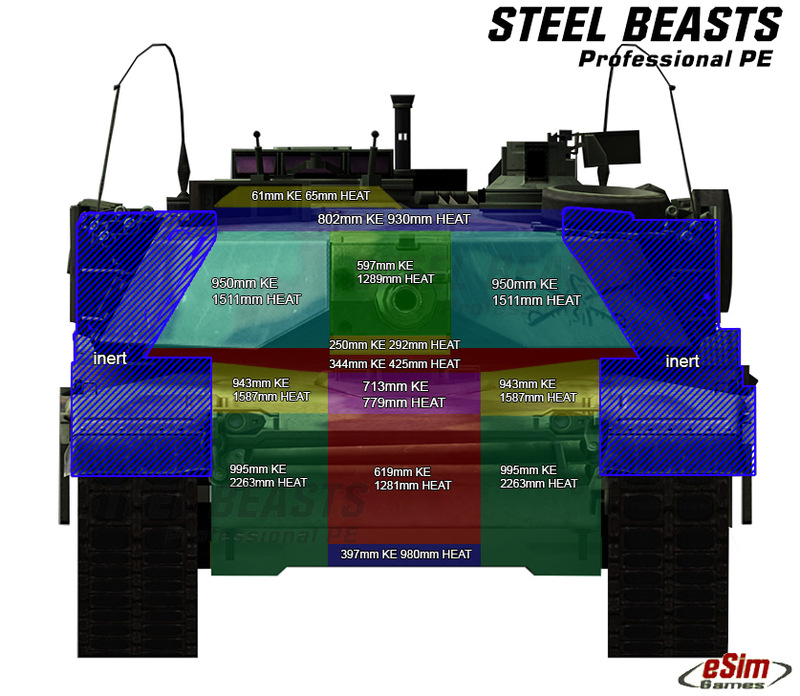 Chobham armor is one of these traits, along with other advances in armor technology. All of these advances were primarily aimed at increasing the survivability of tanks against ATGM threats, as during the 60s-70s ATGMs fielded by the Soviets were outmatching NATO armor capability. The new generation of tanks jointly developed by these three nations were all designed to defeat Soviet ATGMs. Just because the Israeli's had a hard time with ATGMs in 1973, does not mean they had the capability to design new tanks with armor that could effectively defeat ATGMs. As I said, this armor technology was not shared with the Israeli's when it was devised and put to use in the early 80's. Its also important to note that this was irregular warfare in an urban environment. A base RPG-7 warhead is enough to punch through the top hatches on the M1A2 Abrams if fired from above or at other appropriate angles. This further reinforces what I said about TROPHY. TROPHY isn't meant to save tanks from frontally impacting ATGMs in a Fulda Gap style armored engagement, it is designed to protect the more vulnerable parts of tanks from complex geometry in urban warfare settings. Yes, it has an application in large scale conventional armored conflict, but its primary purpose is for urban settings. As an additional note, some analysts propose that the primary reason Israeli tanks were lost was due to bad tactics at the time, and not due to overly vulnerable tanks. All of this is to say, the M1A2 SEPv2 Abrams is extremely survivable against ATGMs in a conventional conflict. 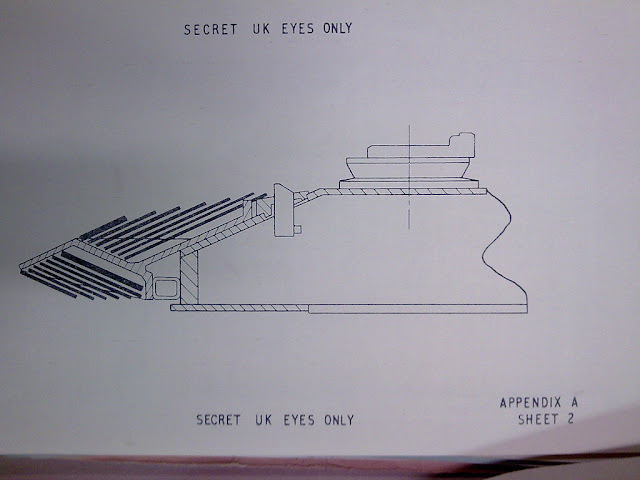 In dense urban warfare, tanks always have been and likely always will be extremely vulnerable to a multitude of both low and high tech threats, to include ATGMs, but this can be mitigated by employing proper tactics, and further bolstered by systems like TROPHY to pick up the slack where tactical lapses are made. Further, ERA has been absent from the Abrams for decades now, even though it was applied to Patton tanks in the Gulf War. Why? Because the Patton tank did not have the composite armor of the Abrams... Currently deployed Abrams to Eastern Europe do not have this ERA applied. Seems like US commanders do not share your opinion that Abrams does not need ERA. Realizing the capabilities of the Merkava 4 tank, Hezbollah allocated their most advanced weaponry to combat this advanced tank, engaging these tanks exclusively with the heavier, more capable missiles such as 9M133 AT-14 Kornet, 9M131 Metis M and RPG-29. In many interviews after 2006 Lebanon War Israeli said that they underestimated the threat posed by modern heavy ATGMs and Israli tanks sustained considerable losses. 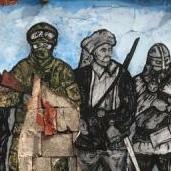 Second Lebanon War's battles was fought mostly in rural rather than urban settings. Israel dispatched a special diplomatic mission to Russia to compain s"pecifically about Syria's passing of its Russia's supplied Kornet heavy ATGM to Hezbollah. Israel sped up testing and system selection for APS right after the war. Since hard-kill APS poses a considerable danger to nearby infantry Israel changed their urban warfare doctrine after the Trophy was inducted into the armored force. Infantry now follows tanks at a distance. This difficulties in infantry-tank cooperation was actually one of the main criticism of the Trophy implementation. So I do believe your statement that "TROPHY is intended to protect tanks in urban environments from infantry held AT weapons" is misleading. Can you provide specific names/models for those "most modern and lethal ATGMs, which only exist in double digit numbers"? This means that Israeli armor as is, probably does not have the same armor as US, UK, or German tanks. This in turn means the armor on the Israeli tanks is not capable of defeating ATGMs in the same way that US armor is. Kornet vs. American Abrams, 2003 Iraqi War: from 2 to 4 reported penetrations, tanks disabled. Iraqi military possessed limited number of Kornets as they have never been officially supplied, only few were smuggled from Syria. RPG-29 vs. American Abrams, 2003 Iraqi War: 3 reported penetrations, crews wounded/killed. RPG-29 vs. Challenger 2, 2003 Iraqi War: one known FRONTAL ERA penetration, crew wounded. RPG-29 has way less armor penetration than Kornet yet American military prohibited post-Saddam Iraqi Army from buying them http://www.nytimes.com/2005/08/28/weekinreview/big-guns-for-iraq-not-so-fast.html. "He [General Jassem of Iraqi Army] also complained that the United States wants to supply his troops with RPG-7's, the Soviet-era rocket-propelled grenade launcher. 'Why are they always giving us the oldest models?' 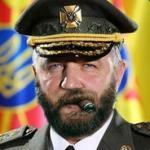 he asked, saying he likes the more modern, larger caliber RPG-29, which penetrates armor better. But such weapons could raise a threat against the United States if they fell into the wrong hands ... "The RPG-7 is more versatile than other antitank weapons, which really only have one use -- destroying armor," the senior American officer said." Israel is well known for putting specific emphasis on tanks protection. If we put aside the argument that a way more modern Merkava-4 is less protected than American Abrams just by pure magic of it not being American then 2003 Lebanon War may be a good proxy for evaluating modern tanks protection level against current ATGMs. While the Israeli's have long been an ally of the West, that does not mean they were given access to the same technology and equipment as NATO states were during the Cold War. As I said, this armor technology was not shared with the Israeli's when it was devised and put to use in the early 80's. Thanks for the response CptMiller, I didn't mean to sound combative if I did, I just thought your argument could use some expansion! Thanks for the info. I'd note that 6/50 is a pretty good record. @IMHO wonderful data, thanks for the pictures. Does Trophy give protection from high angle shots like have been mentioned in this thread? I thought most APS systems only protected something like 30 degrees above horizontal? That's something I'd like to know about as well. I know certain sources claim they can reliably defeat top-down munitions but, thus far, I'm skeptical. 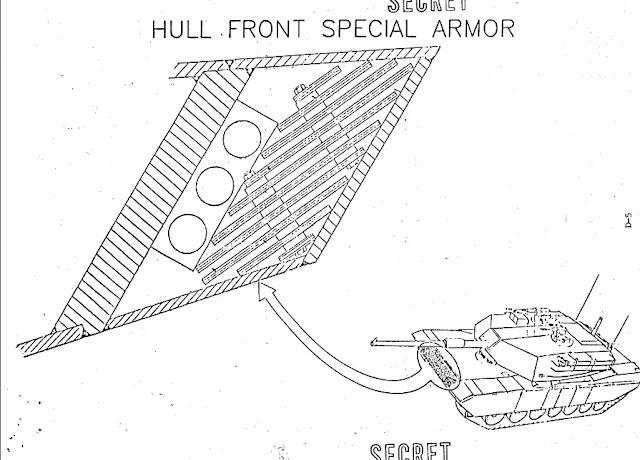 Eh sandwiched composite armor is indeed nothing new and has been used for decades by every not so old tank. It's materials used that make a difference. 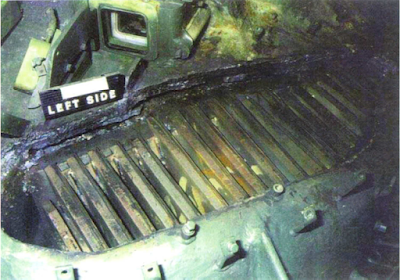 Like depleted uranium in an Abrams turret's front - it's a very dense material, way tougher than ceramics and whatnot. And of course sides and rear would be prone to more penetrations by ATGMs. In that regard CMBS actually depicts M1A2 in a fair way. Any ATGM hit on anything but the turret front (except for a weak armor surrounding the barrel) is extremely damaging if not outright deadly. Sorry, this statement of mine was innacurate so I deleted it. One picture isn't doctrine. I said that ERA can be fitted to the Abrams, and in certain conditions it is, such as TUSK. Its primary purpose is to make an Abrams more survivable in an urban environment. You'll also note that the ERA in CMBS on the Abrams only covers the side armor of the tank, not the front. This is because it is largely unnecessary, because the frontal armor of the Abrams is more than capable of defeating ATGMs, which has been my main point this whole time. No, its not. All of those tanks were lost IN AN URBAN ENVIRONMENT. The reason the Israeli's suffered the casualties they did was because irregular warfare in an urban environment is extremely difficult and will produce high casualties, regardless of what the opponent is armed with. As I also said earlier, RPG-7 warheads are more than enough to mission/outright kill Abrams tanks if fired from the right angle. Further, and I'm repeating myself again, Israeli losses in the Lebanon war were more to do with improper tactics than they were to do with the ATGM threat. And again, they only lost 6 tanks, even though at least 50 were hit with varying AT weaponry. 6 for 50 is pretty fantastic odds in a high density urban conflict. Saying that there was some great disaster suffered by the Israeli's is pure fantasy. TROPHY will help make tanks more survivable in an urban environment, regardless of the type of AT weaponry being employed against said tank. It appears I misremembered the numbers on this one. Russia operates something like 700+ missiles (not launchers) as of current. Despite this, I still stand by my point, that the most advanced ATGMs do not exist in large enough numbers to saturate modern battlefields with, as has been claimed. Even in 2006 Lebanon the Kornet was used exclusively against higher threat tanks due to their relative sparsity. Again, I'll repeat. In an urban environment, a man with a grenade made in 1962 poses a serious threat to a modern tank, yes that includes an Abrams. Or a Molotov cocktail, or any number of other threats. 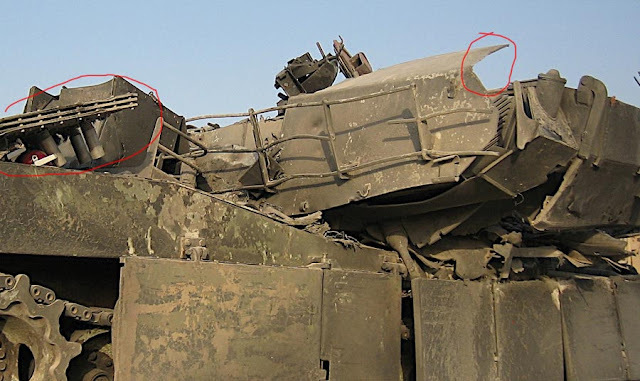 One of the Mk4 Merkava's in Lebanon was destroyed by an IED, despite the fact that the Mk4 had a V hull specifically designed to defend against IEDs. Murphy's law is always a constant in war. And the US not wanting the Iraqi military to have top of the line equipment was a very prudent decision, seeing as how quickly they collapsed in the face of ISIS, and how much of their gear was captured and then used by ISIS. There were a lot of US airstrikes destroying captured US equipment in the past few years. ATGMs pose a threat to tanks. Just as any AT weaponry poses a threat to tanks. The threat of ATGMs against Abrams tanks has been GREATLY overexaggerated based on faulty examples that ARE NOT one to one. A Saudi Abrams IS NOT a US Abrams. An Iraqi Abrams IS NOT a US Abrams. Just because the Iraqi's managed to get a lot of their new equipment blown up/captured, does not mean the US would suffer exactly the same fate. Gulf War, OIF and other conflicts all confirm this. ATGMs pose a threat, but they are not this so-called dreaded doom that will bring down the West the second they step foot in an ATGM environment. While these armor figures give a good ballpark, and the effect in Steel Beasts is realistic (that is, you can clearly see that for most of the frontal profile of an Abrams, it is very hard to penetrate it with HEAT ammunition) do note that they are not 100% accurate. 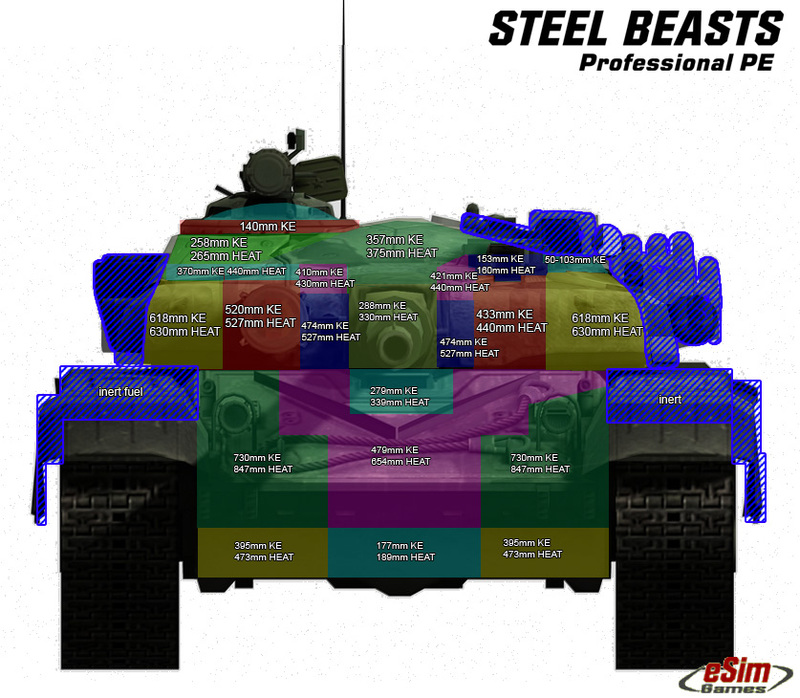 The armor and armor values on the Abrams (and the Challenger and Leopard 2 for that matter) are all still classified. The numbers Steel Beasts is allowed to provide are good generalizations, but they are not exact. All of your other points are correct, and speak to what I am trying to say. Not all tanks are made equal. Not all armor is made equal. Just because a tank is listed as having "composite armor" does not mean it has exactly the same armor values as all other tanks with composite armor. Oh no, not at all! Always glad to see your input! I've just lost a bit of patience for people who post consistently with this backwards, dumbed down logic, (you aren't one of them) so I've become more blunt in my responses in general is all. You'll also note that the ERA in CMBS on the Abrams only covers the side armor of the tank, not the front. This is because it is largely unnecessary, because the frontal armor of the Abrams is more than capable of defeating ATGMs, which has been my main point this whole time. PS - Wow! The forum word filter sorted the title without breaking the link, I'm actually pretty impressed by that! Keep in mind that these are only proposed upgrades, not yet confirmed. Part of this type of upgrade package is to be "future proof," that is to say they are anticipating new threats that develop in 2023 or 2025, etc. They aren't necessarily designed with today's threats in mind, but tomorrows as well. Further, the proposed upgrade is taking into consideration the increased prevalence of urban warfare in general, and tanks use in urban warfare. It wouldn't surprise me if what is pictured becomes the future upgrade to the TUSK system. All that extra ERA is going to weigh the tank down even more, which presents a whole bunch of logistical and battlefield complexities. When I can find the article again I'll link to it, but there are some figures in Wiki for the current APFSDS (the designation of which eludes me). (the designation of which eludes me). On a side note, how the **** did this thread get derailed by a debate on the frontal armor protection of the Abrams tank when exactly no one ever questioned the frontal armor on the Abrams tank. In every video I've seem of an Abrams getting wrecked by an ATGM it was hit in the side or rear. Because one person thinks the whole game is junk because of abrams ability in the game, that is how this thread was derailed. As to how realistic this game is or any of CM games. They all suffer from some basic flaws that are intentionally there to make it a good game. not a realistic simulator. But still, they are the best thing you are going to get you hands on as to a battle simulator, but they have many unrealistic aspects to them that are not close to being realistic . On the other hand, there is many things modeled well enough, that you do get a great feel for the advantages and strengths of the different weapons on the battlefield just as they would in real life. The fighting in the game is always more bloody and deadly and the time frame very much reduced compared to how it would play out in real life generally. Plus the battles and situations players create would not normally be the situation in real conflicts. players also direct their troops in unrealistic manors compared to real troop leaders. (Or at least ones that have not been shot by their own troops that is). Plus, there is plenty of people as you can see from these post that will try and point out every flaw they can as to what they think is incorrect about the game - in general it is best to not encourage them. Nonsense. The issue described is the same for every armored vehicle in the game. And no one has claimed the whole game is junk. Not quite right... Ehhh... CMBS' LWR-equipped tanks (like M1) acquire ATGM-launchers almost instanteniously. What is the basis for such a behaviour when real life LWRs (Thales, Leonardo) give you 30/45 degrees sector??? Instant target acquisition in a 30/45 degrees sector at a distance of 2-4km??? Why not have an Abrams with an ion-gun then? And it has profound impact on the gameplay. In real life (Yemen, Syria) we see tanks being burned every time they are careless enough while facing an ATGM-armed opposition. In CMBS a platoon of Abramses can simply drive through the whole map blasting everyone around. Note, those are weight simulators, not appliqué armor or ERA. But yes, SEPv3 does include improvements to the front armor array. ERA is not tied to the SEPv3 upgrade and can be added to any mark as needed. SEPv3 is a done deal and already in production. ERA is not a proposed / future upgrade, but a kit that can be installed as needed. Photo in thread above is of tankers installing the kit on a Abrams that has just arrived in Europe. Whether or not the Army is training to put ERA on tanks in Europe solely for urban contingencies, I don't know. Well about one of the original complaints - CMBS does not visually depict a smoke trail for ATGMs. So in reality it would be possible to spot a place a missile came from and naturally fire a HE shell there. And certainly tanks don't immediately spot an ATGM that hit them. I hid one so well in a recent mission it was able to whack a T90A and 4 BMP2s before they started firing at its position. You miss the point - its the Abrams unrealistic reaction/acquire/fire time that bothers a lot of "us". Not the T-90's. It , for now, is a reasonably dangerous beast, not the magical psychic 6-eyed unicorn that the Abrams can sometimes feel like. I just ran a bunch of quick tests because I am not seeing what others appear to be seeing. An M1A2 without APS against AT-4Cs and AT-14s. 900m distance from each other. In one test, the M1 is facing away from the ATGM. In the other, it is facing 90 deg from the ATGM. AT-14 fires and the LWS on the M1 immediately cause the M1 to rotate towards the threat and within about 15 seconds spots the ATGM. This happens in both facings. AT-4 fires multiple times in both scenarios and the M1 never spots the ATGM before being destroyed. As mentioned above, the LWS is the difference. In the older SACLOS missiles, the M1 has a very hard time seeing the firing unit, unless the M1 is looking in that direction. With a laser guided missile, the LWS automatically orients the turret to the threat and allows rapid detection. I haven't done a full test on the top of line T-90, but I think it will be similar. I remember in CMSF, the automated LWS on the T-90 allowed the T-90 to spot laser guided ATGM teams. I only ran the tests 5-6 times each, but its consistent enough to create the supposition. This at leasts appears to be a reasonably realistic outcome. Its more realistic than Steel Beasts, which gives AI tanks uncanny spotting abilities with ATGM. This at leasts appears to be a reasonably realistic outcome. Its more realistic than Steel Beasts, which gives AI tanks uncanny spotting abilities with ATGM. Most missile rocket propellants don't have a lot of smoke. They use particular combinations of solid propellant that emit a minimum amount of smoke... for obvious reasons. I don't have a ton of experience with missiles, but I think most combinations involve nitrocellulose and nitroglycerin based propellants which (just like their smokeless powder cousin) tend to burn fairly cleanly. Do note that older missiles may have a much more prominent trail due to less advanced propellants. Motors with a longer burn will also tend to produce more smoke - like SAMs. In general there was (and still is) a big push to produce minimum signature propellants for exactly this reason! Cheers for that fella, I thought it looked a bit odd, even for NERA! Modern tanks really are entirely too complicated, I'm much happier with simple things, like the Sherman. PS - I thought the armour upgrades had been removed from the SEPv3 program and included in a SEPv4 specification.